After the geometry axiom, here is my next axiom. Locality axiom: All physical processes are local. Locality means that physical processes are only affected by nearby processes. It means that there is no action-at-a-distance. It means that your personality is not determined by your astrological sign. It means that the Moon cannot cause the tides unless some force or energy is transmitted from the Moon to the Earth at some finite speed. Maxwell's electromagnetism theory of 1861 was local because the effects are transmitted by local fields at the speed of light. Newton's gravity was not. The concept of locality is closely related to the concept of causality. Both require a careful understanding of time. 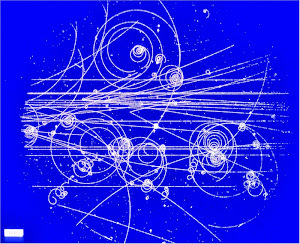 Quantum mechanics is local, if properly interpreted. Time is very different from space. You can go back and forth in any spatial direction, but you can only go forward in time. If you want to go from position (0,0,0) to (1,1,1), you can go first in the x-direction, and then in the y-direction, or go in any order of directions that you please. Symmetries of Euclidean space guarantee these alternatives. But if you want to go from (0,0,0) at time t=0 to (1,1,1) at t=1, then your options are limited. Locality prohibits you from visiting two spatially distinct points at the same time. Time must always be increasing along your path. Locality demands that there is some maximum speed for getting from one point to another. Call that speed c, as it will turn out to be the (c for constant) speed of light. No signal or any other causation can go faster than c.
Thus a physical event at a particular point and time can only influence events that are within a radius ct at a time t later. The origin (0,0,0) at t=0 can only influence future events (x,y,z,t) if x2+y2+z2 ≤ c2t2, t > 0. This is called the forward light cone. Likewise, the origin can only be influenced by past events in the backward light cone, x2+y2+z2 ≤ c2t2, t < 0. Anything outside those cones is essentially nonexistent to someone at the origin. Such is the causal structure of spacetime. Since the world is geometrical, there should be some geometry underlying this causal structure. The geometry is not Euclidean. The simplest such geometry to assume a metric where distance squared equals −dx2−dy2−dz2+c2dt2. This will be positive inside the light cones. It does not make sense to relate to something outside the light cones anyway. Four-dimensional space with this non-Euclidean geometry is called Minkowski space. This is a Lorentz (boost) transformation with rapidity u, or with velocity v = c tanh u. The more familiar Lorentz factor is cosh u = 1/√(1 − v2/c2). Imaginary time seems like just a sneaky math trick with no physical consequences, but there are some. If a physical theory has functions that are analytic in spacetime variables, then they can be continued to imaginary time, and sometimes this has consequences for real time. Thus locality has far-reaching consequences. From the principle, it appears that the world must be something like Minkowski space, with Lorentz transformations. Next, we will combine our two axioms. Consider a single photon the Young double-slit experiment. Does the photon pass through both slits at the same time? Strictly, QM gives expectations and not single predictions. What is your take on Tim Maudlin and John Bell in this lecture? Tim and Roger debated in the comments to this blog. Do a search. I spent the last two hours searching. Are you sure this debate happened? Links please, for the world to see? It appears that Maudlin does not have a Ph.D. in physics? Why should we listen to him regarding physics? If it is wrong, how might you correct it? Are you stating that Werner Heisenberg was wrong? "In relation to these considerations, one other idealized experiment (due to Einstein) may be considered. 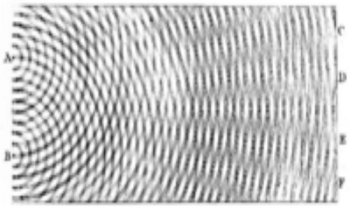 We imagine a photon which is represented by a wave packet built up out of Maxwell waves. It will thus have a certain spatial extension and also a certain range of frequency. By reflection at a semi-transparent mirror, it is possible to decompose it into two parts, a reflected and a transmitted packet. There is then a definite probability for finding the photon either in one part or in the other part of the divided wave packet. After a sufficient time the two parts will be separated by any distance desired; now if an experiment yields the result that the photon is, say, in the reflected part of the packet, then the probability of finding the photon in the other part of the packet immediately becomes zero. The experiment at the position of the reflected packet thus exerts a kind of action (reduction of the wave packet) at the distant point occupied by the transmitted packet, and one sees that this action is propagated with a velocity greater than that of light. However, it is also obvious that this kind of action can never be utilized for the transmission of signals so that it is not in conflict with the postulates of the theory of relativity. (The Physical Principles of the Quantum Theory, W. Heisenberg, 1930. p.39)"
Why? What does he state? Please summarize. Thanks! You write, "I recommend you read Omnès: https://press.princeton.edu/titles/5525.html"
Why? Does he correct Heisenberg? ""In relation to these considerations, one other idealized experiment (due to Einstein) may be considered. We imagine a photon which is represented by a wave packet built up out of Maxwell waves. It will thus have a certain spatial extension and also a certain range of frequency. By reflection at a semi-transparent mirror, it is possible to decompose it into two parts, a reflected and a transmitted packet. There is then a definite probability for finding the photon either in one part or in the other part of the divided wave packet. After a sufficient time the two parts will be separated by any distance desired; now if an experiment yields the result that the photon is, say, in the reflected part of the packet, then the probability of finding the photon in the other part of the packet immediately becomes zero. The experiment at the position of the reflected packet thus exerts a kind of action (reduction of the wave packet) at the distant point occupied by the transmitted packet, and one sees that this action is propagated with a velocity greater than that of light. However, it is also obvious that this kind of action can never be utilized for the transmission of signals so that it is not in conflict with the postulates of the theory of relativity. (The Physical Principles of the Quantum Theory, W. Heisenberg, 1930. p.39)""
What are your opinions on Heisenberg? Or is it your position that physicists are to be ignored, and we should just google philosophers to find out about quantum mechanics? Let me note a bit about a point regarding space and time. The ``directionality'' of time is often well appreciated, may be because of its connection with the second law of thermodynamics. You can have a choice for moving in space, but you have no such choice as far as ``moving'' in time is concerned. But you have no such choice with time. You cannot pick up a starting instant if it has already gone into the past, and you must helplessly await the arrival of an ending instant if it belongs in future. Also, the idea of multiple paths does not make sense because time is uni-dimensional. These are crucial differences. You can spend energy in space travel (for doing work against fields). But spending energy to visit an arbitrary instant of time is not at all an option available to you. The idea of space-time continuum has fewer merits than disadvantages; the two are not, physically speaking, at a par with each other. Space and time are probably emergent, so it's a dead end to go in circles with such assumptions. What do you mean by, "Space and time are probably emergent, so it's a dead end to go in circles with such assumptions."? By "probably" do you mean 99.9% likely? How are you calculating your probabilities. Please remember that physics requires calculations. That's a stupid comment. Watch the video or go away.